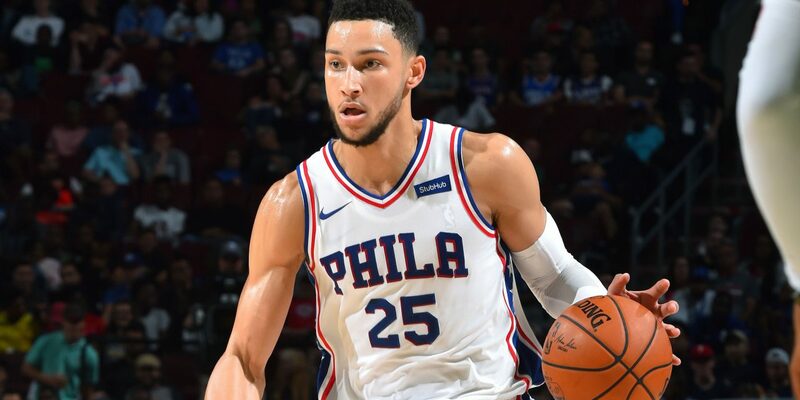 An important Eastern Conference matchup is scheduled for Thursday in Philadelphia when the Milwaukee Bucks take on the Philadelphia 76ers. The Bucks currently sit in first place in the Eastern Conference, with the 76ers in third. Philadelphia needs this crucial win to keep pace ahead of the Boston Celtics in the Atlantic Division. This game is also important for helping to set the tone in what could be an Eastern Conference Finals preview. The outcome of this game may swing the NBA odds for the Eastern Conference come playoff time, so smart basketball bettors will be keeping a close eye on the contest. Here are the leaders for each team heading into the game. Giannis Antetokounmpo has missed recent games due to a right ankle sprain. Antetokounmpo aggravated his injured ankle after scoring 34 points in the Bucks’ 128-118 win over the LA Clippers. He left midway through the fourth quarter and did not return. Bucks coach Mike Budenholzer told reporters that there is a good chance that Antetokounmpo plays on Milwaukee’s three-game road trip. The Bucks play Monday in Brooklyn and Thursday in Philadelphia. Antetokounmpo’s presence against the Philadelphia 76ers will be a key area to watch for this game. The decision to rest Antetokounmpo came with the Bucks close to securing home-court advantage throughout the playoffs. Milwaukee entered Sunday’s game against the Hawks 3½ games ahead of the Toronto Raptors in the race for the top spot in the Eastern Conference. Antetokounmpo, who is averaging 27.4 points per game, has missed two games since suffering the initial injury March 17 against the 76ers. He said that he never felt fully recovered from the sprain. With the Bucks close to securing the East’s top spot and the questions surrounding Giannis’ injuary, it’s hard to bet on the Bucks to win on the road. The 76ers seem to have more to prove and their health and home court advantage will likely prove to be too much for Milwaukee.